Nothing can stop Peter Grummich - not this year! Because when the record is over, he simply produces the next one. 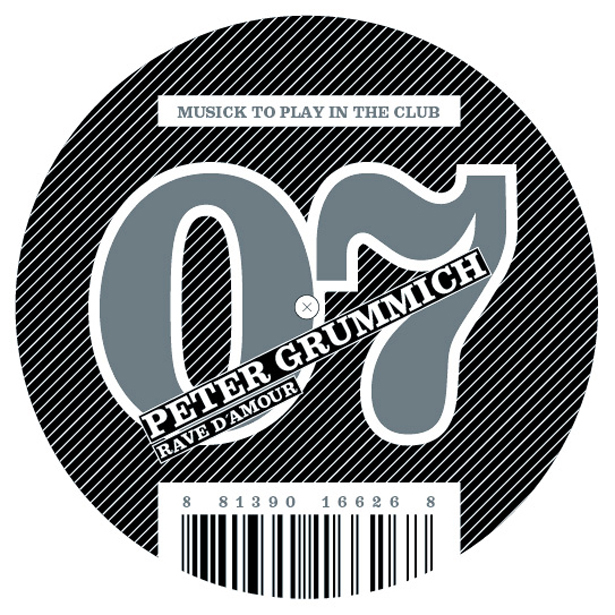 After his first album "Switch Off The Soap Opera", Grummich compiled as one of Germany’s senior DJs Shitkatapult’s first clubmix compilation "Maria Dirty Floor". Now the gangling guy from Berlin puts out three fine dance pieces on Musick, the club thong by Shitkatapult among all those mini labels for the DJing fraction. "Jack d' Amour" is by name a collector's item for friends of the nineties and of what's French, by that it comes very elastic, almost power ballish playful in its accomplishment, which goes down well not only with those taxi-dancers, but also with those, who already squint, but don't wanna go home yet. "Weiter" is a minimal mumble rumble monster with refined manners, maybe something like a butler for the dancefloor, something that takes you there. With "Breathe" many will say: Hey, I know that! Who did it?, because this track has got classic qualities in the acid area, and in case the VJ is gonna beam some whales at the walls, the party will prevail!